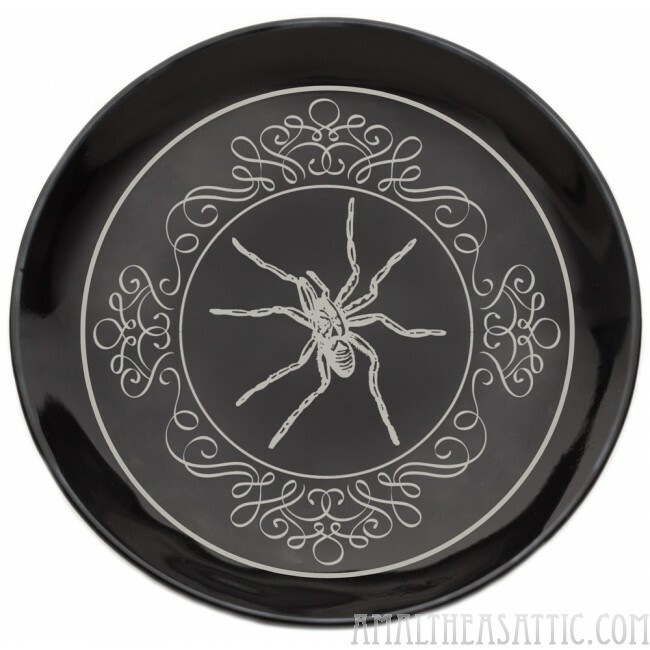 This trinket dish is a perfect catch-all for loose coins, jewelry and any other small, vagabond items in need of a home. 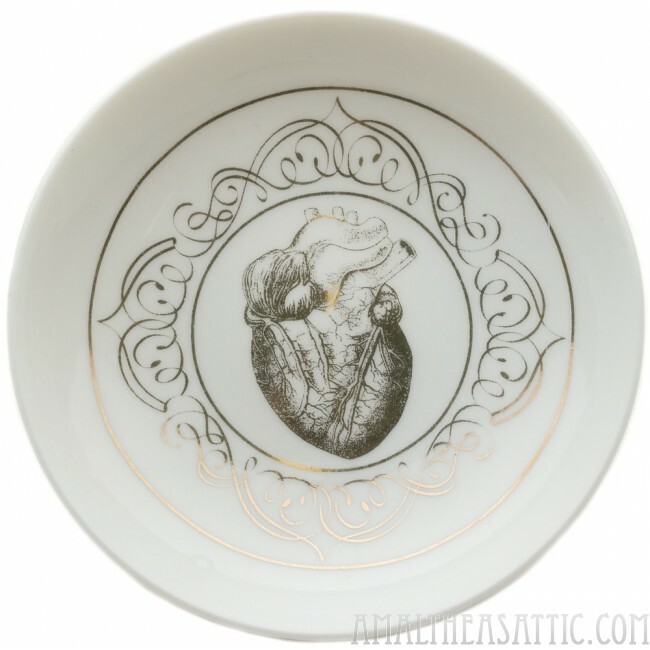 It features a creepy, antique doll head illustration surrounded by filigree, printed in metallic gold on a white porcelain dish. Put one by your sink, dresser, night stand or wherever you need it! This trinket dish is a perfect catch-all for loose coins, jewelry and any other small, vagabond items in need of a home. Featuring your choice of creepy doll, human heart, missing tooth, or spider. Put one by your sink, dresser, night stand or wherever you need it!